The new Steve Jobs Theatre looks absolutely amazing. The simplicity of the design creates a uniqueness and godliness aura about the building. Simplicity doesnt come cheap, as the building reportedly cost $179 million alone. Each seat in the theatre cost $14,000. I think Steve would be proud of how the theatre and entire Apple Park turned out. The video below provides a nice glimpse into the building architecture and grandeur. It boasts the world’s largest freestanding carbon fiber roof. The carbon fiber roof is supported by the glass frame. In my last blog post I spoke about the competition for airtime between the Apple conference being held at 1 PM and Governor Christies announcement for presidency. As expected, Apple brought down Twitter and overran any other news items. That’s not to say all eyes were on Apple, but to point out that we live in an age where gadgets are more important than politics sometimes – for better or worse. What we didn’t know at the time, was the imminent future for Steve Jobs. By the time of this blog entry the world is already aware of the loss and has been inundated with stories of this great inventor and marketer. I have thought for days what I should write about such an inspirational person for me. The phrase “words cant express” resinated over and over for me. I could not come to a conclusion or a way to get all the words out, so I have decided to share just two tidbits from my life experience with Apple and Steve Jobs. The media will share every other image, quote and historical inventions over the next few weeks. 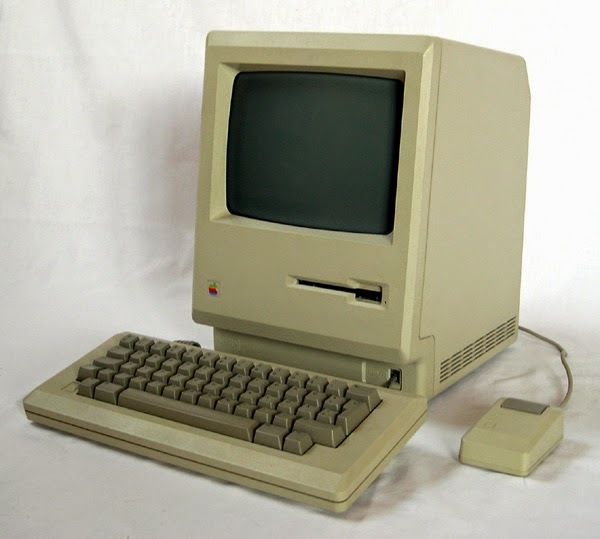 1985 – My father-in-law came home one night with a computer called a Mac 512k. Having just barely passed a college computer class the year before, It seemed like the most magical thing ever. Mind you, we had to feed a single line of code into a commands feeder that looked like something Eli Whitney invented. And were taught Fortran at the time. This magical machine mesmerized me and entertained me for hours, days – really a lifetime. That was it. I was an Apple follower for life. I wont lie though, I did drift during the bad apple days when Steve want around, but always new their innovativeness and marketing skills would purvey. 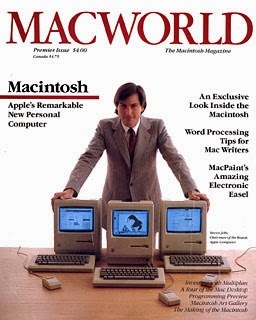 The experience that Apple and Steve brought to the computer changed my world and filled a void. In the year 1999, being the Apple follower I was, I attended what would be the last Apple show in New York (with Apple and Steve Jobs anyway). These were events, not shows. You arrived hours early, stood in lines to get in and talked about the future. On a beautiful morning, we saw a helicopter land close to us and realized it was the man himself – SJ. We all ran to the corner to catch a glimpse. Very exciting. The program that day had the following announcements and surprises at the main event hall. 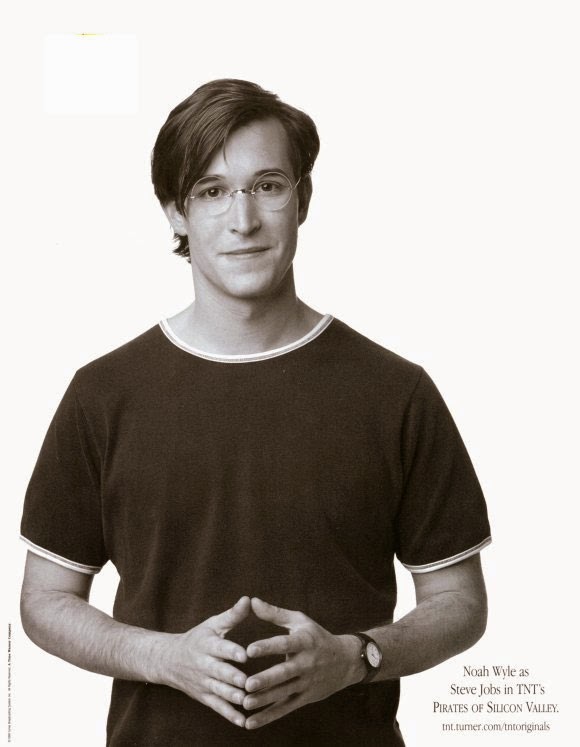 The actor Noah Wyle made an appearance during the keynote address, posing as Jobs in a reference to his role in the TV moviePirates of Silicon Valley. Steve Jobs also introduced the iBook, QuickTime TV, and AirPort. Halo was announced by Bungie Software, although Bungie was later purchased by Microsoft and Halo became an Xbox exclusive. All very exciting. But the most exciting moment for me was to come. One fraction of time for Steve has impacted me for a lifetime.